And yet, there is something powerful to be found in longevity. Ovid’s words speak to us from Rome more than 2000 years ago. For many, the language he spoke is now an obsolete exercise, valiantly kept alive by scholars. Why? The thoughts he expressed are fresh today. Objects of art that have endured over time are mysterious; reassuring; validating; meaningful. 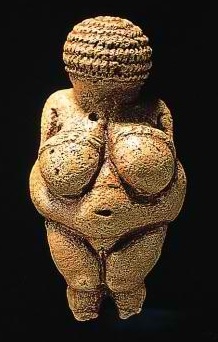 The Venus of Willendorf was painstakingly carved of stone, with skinny arms, tiny fingers and immense breasts. She was created in Austria approximately 24-26,000 years ago. There are actually quite a few Venus figurines representing the “Mother Culture” which extended from southwestern France eastwards across Europe. This one is the most famous. Were they talisman? Ritual objects? Were there thousands more? with line drawings of wetlands flora, perhaps representing his actual habitat. 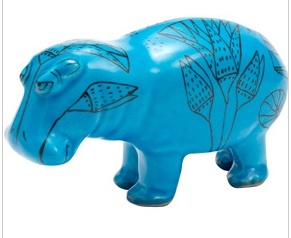 He has a simple, deceptively charming cuteness despite the fact that he represents the most fearsome animal of the Egyptian landscape. Cylcadic figurines with their elongated and flattened bodies are oddly reminisent of modern art. How can that be: the past, reminding us of the future? It’s likely that they were painted bright colors. Were they dolls? Ritual objects? The simple abstracted and stylized human figures have a charm and elegance that has informed modern artists such as Picasso and Brancusi. In the Americas one finds many ancient objects: ceramics, arrowheads, petroglyphs, pictographs, basketry and more. These were created by the cultures that populated the western hemisphere. To me these are exquisite old friends but they don’t begin to approach the longevity of the Old World. Imagine my delight and surprise when I came upon split twig figures at the Grand Canyon this fall. With all my travels in the Southwest, how have I missed these amazing 4,000 year old pieces of art? Perhaps they are children’s toys, perhaps ritual objects. We’ll never know. The dry atmosphere of the Southwestern deserts preserved them. Split Twig Figurine from the Grand Canyon. They are ever-so cleverly created by taking an un-branched, green willow twig and splitting it down the middle. It is then folded, woven and entwined into the shape. One twig makes one creature. Are they Mountain goats? Mule deer? Elk? 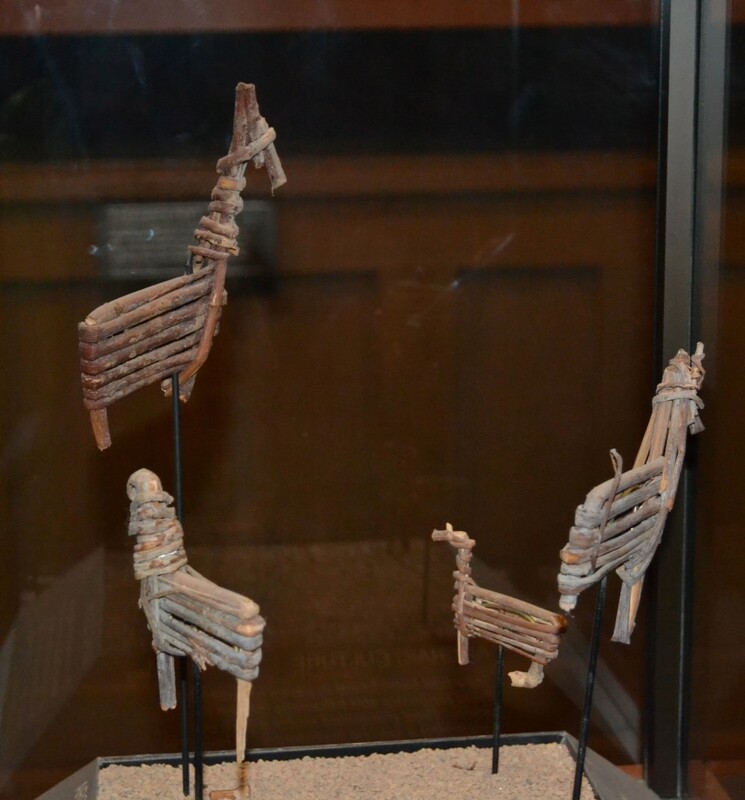 According to Smithsonian Magazine the split twig figurines were made during the archaic period. The Archaic hunter-gatherers—people who had yet to discover corn or pottery or the bow and arrow—held to this rigorous artistic tradition for nearly 17 centuries, or about as long as the span from late Roman statuary to Jackson Pollock. They were included in several museum displays in the Grand Canyon and at Chaco Canyon. While on a fabulous three day San Juan River rafting trip with Wild River Expeditions we had the good fortune of learning how to make them. It was an amazing experience to practice this ancient technique, touching history. The resonance of ancient art – the human artistic impulse connects us to timeless selves. Especially at this dark time of year, when, despite outward frenetic travel, there is much inward traveling. Thanks Liza! Ok so I had to do a little checking out other sites to be sure, but it is indeed YOUR site that is snowing! LIKE! At first I worried that something was wrong with my computer, or that I had somehow imagined a shooting star (the very first snowflake) interesting thoughts about worlds, Liza, and depths. Pretty fun! And the only snow I’m likely to see around here anytime soon. Can I make mine rain? The snow is a wordpress thing I guess. You can probably make it happen on your blog too! Just got your email with the invitation to visit your other artist page, and wound up here. Finally have some time to wander (wonder) through the internet. 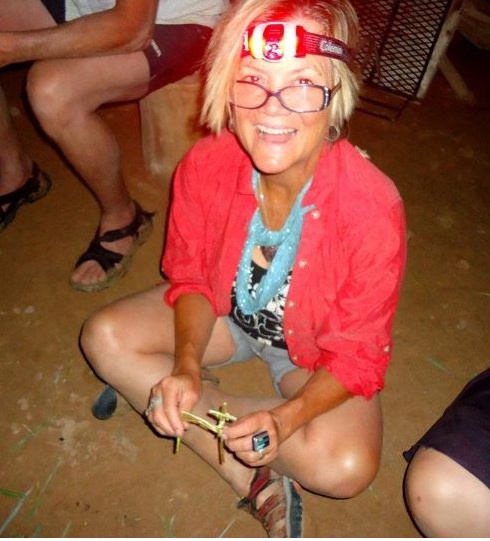 I’ll be back working as an artist soon… Hope you are doing well in your new creative environs!